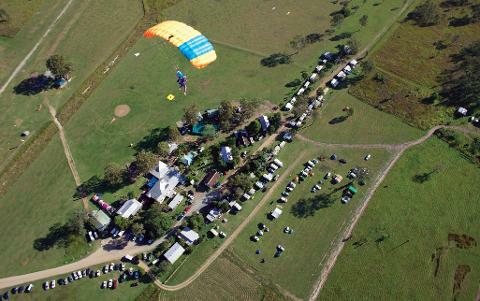 Meet our team at the Ramblers Parachute Centre in Toogoolawah, board your plane and take in the spectacular views of the Somerset Region and Valley of the Lakes on your way to jump height. 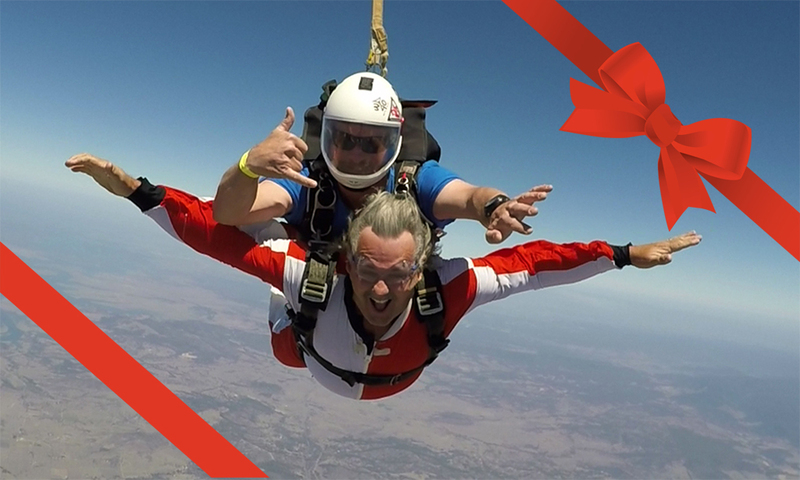 When it comes time to jump, at 14,000 feet above the planet, in the door on the edge of the plane (and life!) you know you are alive - you can feel and hear your heart beating! The freefall is fast and smooth, the air is cold and crisp, the wind noise is screaming but quiet. The skydiving lasts for a minute. You can see forever. Everything is below you, the clouds, the hills and valleys, the rivers and farms. Then the parachute opens with a firm but welcome deceleration and everything goes calm. You are flying through the sky above the drop zone. The ground seems so far away. The cars are like toys, the cows are like ants, and then, it's back to earth and reality. Receive your Jump Certificate & a Goodie Bag full of cool stuff and celebrate the occasion! Stay at the DZ for a meal or drink, and watch your video on the TV and have a good laugh. Mingle with our experience fun jumpers, watch our students learning to skydive whilst making life long friends, and don't hesitate to ask any questions about this amazing sport. Price includes your membership to the Australian Parachute Federation. DZ facilities offer a canteen for drinks and snacks, pool table, fooseball, a pool and large lawns. Come and find our why Ramblers are Famous For Fun!